We have compared investing to farming multiple times over the years. We believe there is a time for planting and a time to harvest. We actually saw a negative return in equities last month, which may be a surprise to many as the two year rapid ascent has caused many investors to get complacent in regards to their expectations of returns. 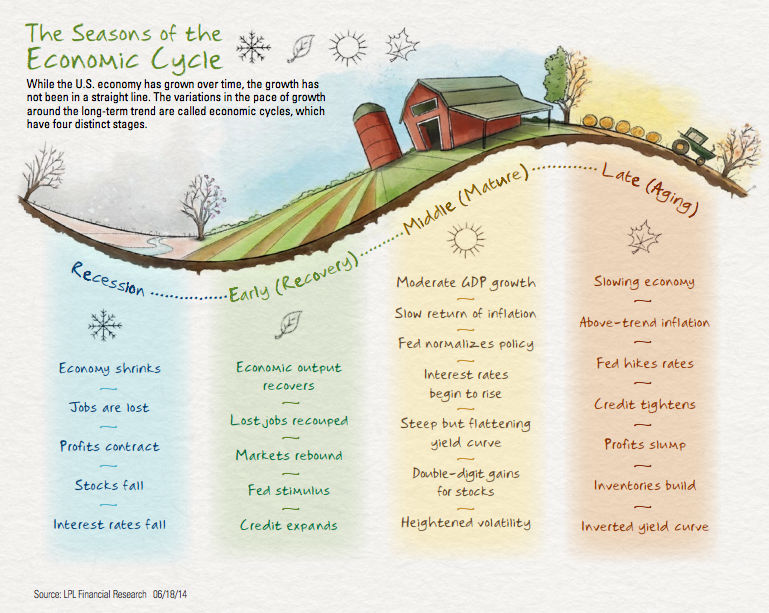 The economic cycle has followed this pattern in the past and will continue the same dance into the future. Stay focused on balancing risk and don’t forget to harvest profits occasionally.